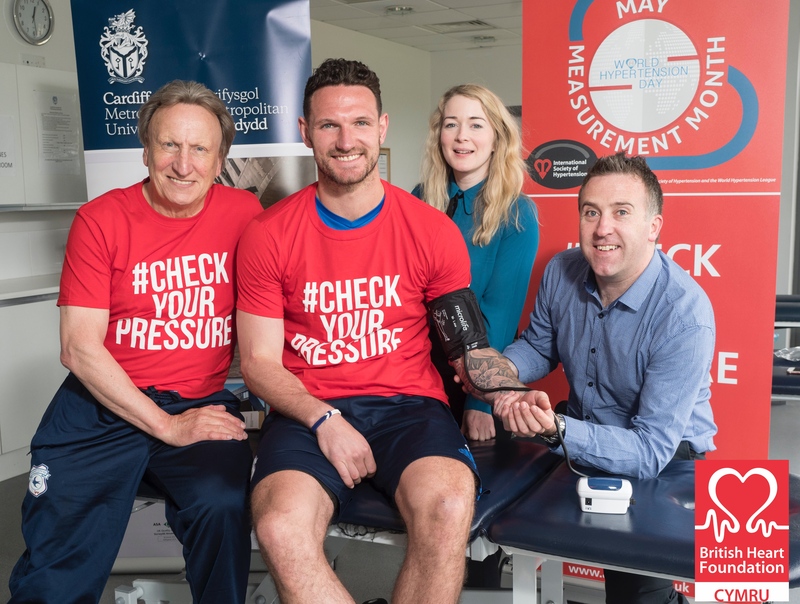 The Cardiff City Football Team have been the very first to undertake blood pressure checks for the May Measurement Month campaign, a month-long global initiative supported in Wales by academics at Cardiff Metropolitan University and the British Heart Foundation (BHF) Cymru to encourage people in Wales to check their blood pressure (BP) levels. High blood pressure is the single biggest treatable cause of death worldwide, with 1 in 5 people in Wales alone already being treated for the condition. Raised blood pressure (hypertension) is the cause of many cardiovascular conditions, including stroke, heart attack, kidney failure and dementia. If untreated, the condition can put people at risk of a cardiovascular disease, heart attack, stroke, heart and kidney damage. 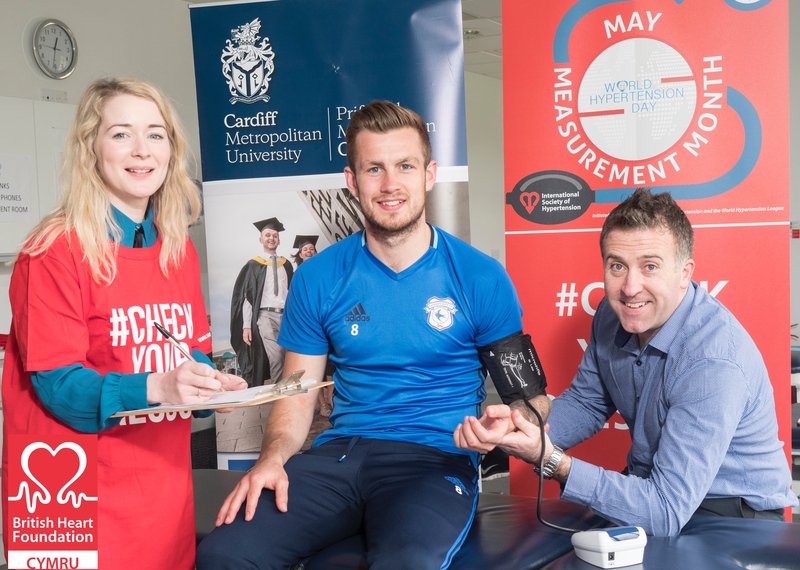 Cardiff City Football club players and management recently took part in a blood pressure check held by Cardiff Met University and BHF Cymru at their training grounds in South Wales. Cardiff Metropolitan University and BHF Cymru are working to increase opportunities like these for individuals across the country to have their BP checked throughout May. Dr Len Nokes, Club Doctor for Cardiff City Football Club said: “Staff and players at Cardiff City Football Club fully understand the need to get your blood pressure checked on a regular basis. It is a hidden danger that if picked up early can be treated successfully and prevent life threatening events such as strokes and heart disease”. Joanne Oliver, Health Service Engagement Lead for BHF Cymru said: “We are delighted to be working in partnership with Cardiff Metropolitan University to support May Measurement Month 2017 in Wales, an institution where we are currently funding life-saving cardiovascular research. We hope that MMM17 will engage with the thousands of people in Wales unaware of their current blood pressure levels”. “We know that hypertension is a significant risk factor for a number of serious heart and circulatory conditions. We urgently need to fund more research to better understand the impacts of high blood pressure, how this can cause serious cardiovascular conditions, in order to prevent these conditions developing and to save more lives”.